Let’s hope last week’s major 6.4 and 6.5 launches whetted your appetite for more WordPress SEO features, because SEO Ultimate has been upgraded yet again, this time with a new module that adds 2 SEO widgets to your WordPress widgets page. The first widget ties in with the newly-added Footer Link function of Deeplink Juggernaut. If you’re using a theme with a widgetized footer, SEO Ultimate’s new “Footer Links” widget will let you move your Deeplink Juggernaut footer links from the wp_footer hook section to your widgetized sidebar-footer. This unassuming widget makes it a cinch to smoothly integrate your Deeplink Juggernaut Footer Links into the theme of your choice. The second widget is called “Siloed Categories,” and lets you supercharge your site with navigation that’s siloed around a taxonomy of your choosing. On most pages of your site, Siloed Categories functions just like a normal categories widget, except that it only displays your top-level categories. But when you click on one of the categories to go to its archive, Siloed Categories changes into a list of the category’s sub-categories (if any) and the five latest posts filed under that category. When you view a post, Siloed Categories displays the post’s “siblings” that are filed under the same category. Thanks to this linking paradigm, your categories’ link-juice is confined within the current silo instead of leaking out to other category-silos. Although the widget uses categories by default, it provides you with the flexibility of siloing around any taxonomy of your choosing (post tags or custom taxonomies), though for best results, you should silo around a taxonomy in which each post only has one term. (Since posts usually just have one category apiece, category siloing is often ideal.) If you choose to use Siloed Categories, you should also remove any existing “Categories” widgets from your sidebars, since Siloed Categories is intended to replace that functionality. As always, SEO Ultimate uses a modular system that lets you disable features you don’t want. If for some reason you want to remove these new widgets from your widgets admin screen, just go to Module Manager and disable the “SEO Ultimate Widgets” module. Download SEO Ultimate 6.6 and give the new widgets a whirl. If you’re already one of the thousands who use SEO Ultimate, you can upgrade for free via your WordPress plugin admin section. 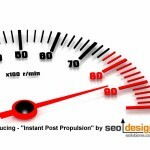 If you’re a new user who’d like to take advantage of this powerful free plugin, you can download it from WordPress.org or search for “SEO Ultimate” on your blog’s plugin install screen. 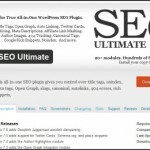 SEO Ultimate WordPress SEO Plugin Version 5.7 Released! SEO Ultimate Version 7.6.5.5 Released! SEO Ultimate Version 7.6.5.2 Now Available for Download! Thanks a ton for SEO Ultimate. Link Mask Generator is not working for me. When I click or test the link generated by SEO Ultimate it goes back to home page instead of affiliate site. Regarding link mask generator. If you have similar plugins or have different .htaccess rules working (like permissions is not allowing it to create rewrite rule) then that could be the problem. Try updating to the most recent version and let us know if that works for you. this is nice plugin …thnaks for share this information.. Please make able utf-8 fonts for linking in Deeplink Juggernaut. Now the russian language words is not works for links. If you have support for overwriting individual titles for custom post types, it would surely make sense you could set a ‘Default Format’ for titles of custom post types? Currently, the default format of ‘posts’ is set to all custom post types. Any plans to add a character count for the title tag for page and post optimization? I need to use this plugin for “Permalink Tweaker” so I check the option to hide the slug from taxonomy, It is working, but after I go to Permalinks page in wp-admin, after that this option is stop working and it shows me 404 error page… please help me to set this to work correctly, or give me an advice hot to hide the taxonomy slug from the link… I will pay if someone helps me. would you, WordPress SEO author, test your plugin before you commit a code to repository (since last two weeks there was about four updates with some trivial “bugfixes”)? Any plugin is a work in progress, if you can’t appreciate our FREE plugin that we spent well over $40K developing, then don’t use it. Bugfixes in this instance exist because the plugin has been developed over 5 years and the core code of WordPress is not the same as it was when the feature/module was created, not because we didn’t test it. Just update to new version, this should be fixed. That has nothing to do with the plugin, those are called sitelinks and you can manage which ones show in Webmaster tools. Thank you we will look into it. What is your domain, what version of WordPress are you using and can you list your plugins and send to [email protected] – thanks. Can you use SEO ultimate to achieve the same silo structure you would get with the plugin from Network Empire/DWS? Feature Suggestion: Rich snippets are very important. 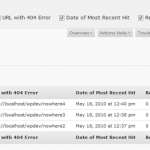 But why haven’t you included Events in your plugin??? Can you include it in an update pleeeeeeeeeeeeeeeeeease?? first of all, thanks very much for such a great plugin. I was in search for a good plugin that does this siloing. But I could find anywhere how to show all articles which fall under one silo. I have a silo that has 9 articles but when I click on that silo on the homepage only 5 are displayed on the nav bar. I cannot see anywhere in the widget area how to increase the post/article numbers to be displayed. Have I missed something? @Simon: Update to the latest version 7.6.1 this is fixed. I don’t have these kind of pages so how can I get hits like these? Or am I getting something wrong here? I can’t get nofollow to switch on. On a Page, I can check the box for noindex and it works just fine. No matter how many times I check the box for nofollow, it won’t stay checked. Any ideas? We will look into that…All the best! No, the SEO Ultimate silo only gives you categories and posts (two tiers) vs. DWS which gives you homepage to Silo Landing Page, Silo Landing Page to Category (both of which are pages to preserve PR), then it links from category to supporting article and supporting articles link back up to its parent category and main silo. All the while, the plugin pulls the page out that its on from the menu to prevent self linking as well (to produce a dynamic spread of link-flow. We also coded the DWS plugin as well, so, I can speak competently about the features of both. The DWS silo blog builder is a much more powerful silo building tool but you can still do very well with SEO Ultimate by 1>>> Creating a Page as your silo landing page >>>2. Create a category with the same name >>> 3. in the conflict URL resolution feature in Misc. choose Page instead of term archive >>> then create supporting articles as posts under that category and then add the Siloed Categories Widget to the Sidebar and it will build out the themed navigation. Once done, if you link to the main Page using Deeplink Juggernaut, then you push all the PR from the posts up to the Page (instead of a category Archive Page) and you can still crush markets that way. 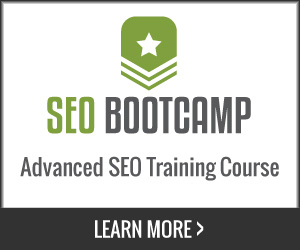 Loooooooovee SEO ultimate, and you have one of the top blogs on the Internet. Jeffrey – I hope you are doing OK after your spill. I haven’t used the plugin for a while, but I just loaded it for a new site. My favorite feature is the link mask generator for siloing. The last time I used it, each page would have a list of masked links, and I could choose which ones to unmask. It appears that the functionality has gone away, and you can only create sitewide linkmasks in the setup. Am I missing something, or did you change the product? Just a thought… There was a recent posting on SEOMoz discussing the “first link counts” rule. They ran some tests, and did indeed find that google ignores the second link on the page. They did find that there are several ways to circumvent this. One way is to use the #. for example, you could create links to http://www.mysite.com/example and http://www.mysite.com/example#1. In that case, both links would pass juice. Any thoughts on adding this to the functionality of SEO Ultimate or your upcoming WP Theme? Thanks for the info. I learn more from you than any other source. The problem I see with it is the links in the top nav of the site. Correct me if I am wrong, but the blog pages are will also be pushing link juice to all of the pages in the top navigation. Not a concern for an authority site. Navigation links only pass a minute amount of link flow vs. contextual links, so, their impact on SEO is minimal (unless excessive 50 or more). 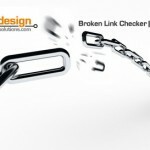 First link priority is only a concern if you are linking to the same page more than one time. It’s an old SEO trick, but not really worth adding to the theme to automate or obfuscate. There are so many other ways to send the proper semantic signals to internal pages and preferred landing pages. You just have to ring-fence your silos, categories and supporting articles to their own dynamo so each supporting article ranks the category and the categories rank the competitive silo terms. Now you go to the link mask generator and create as many as you like and associate it with a keyword (in deeplink juggernaut). Then, any time that keyword is used (or any keyword you select) you can select it from the link mask section by typing in a phrase related to the keyword. (for example if it was amazon the link went to, then start typing amaz into the destination link area for deeplink juggernaut and you should be able to select it from a dropdown. Can you explain “dynamo” and “ring fence”? My impression from your articles is that supporting pages all link to each other and to the category page. The category page links down to the supporting pages. I went back and looked at another of your articles, and I am not so sure if i am right. Does “ring fencing” mean daisy chaining the supporting articles 1 to 2, 2 to 3, etc? My main category page is “IT Support”. Many of my supporting pages are also long-tail landing pages- for example “IT support services”, “network IT support”, etc. In DeepLink Juggernaut, does it differentiate? Will the long-tail supercede the short-tail? Just make the link destination the primary page and the subordinate pages will link up and support it. You can also specify that links only occur to pages or posts that share the same tags or category to really silo your website. You can find that in the content link settings tab of Deeplink Juggernaut. Bingo Bill, you got it (daisy chain the supporting articles to the category or main silo page) which is mirrored in the root. If you have an electronics /category/ then they should link to the /electronics/ page in the root. Hi, was just wondering if you had any plan to integrate the possibility of multiple og images being defined. I’ve read on forums that this should be possible but can’t find a way of entering more than one URL in the in the default image box. Many thanks for the great plugin. Thanks for all of your help. I’ve been spreading the word in my SEO network, and everyone is really impressed with your work! a. Link juice in my silos will be spread through all of the links in the nav. The navigation breaks the tight Silo. b. With the “1st link counts rule”, the Nav Link will block any hyper text links that I put on the page that links to the page in the primary nav. (Example: The Menu Item is “IT Support”. If I want to build a hypertext link back to the “IT Support” page, the Nav Link trumps the hyper-text link.) The Nav-links don’t pass as much juice. Is this going to be a problem? 2. Here’s my big concern – I’ve been playing with link masking. When I create the link mask, the redirect test works just fine, but when I hover over the link in the Nav, the link is normal – no /go. Am I doing something wrong? I was wondering why I see No updates since Jan 2013. Am I suppose to change my favorite SEO plugin!? The original developer has chosen another line of work, so, we are searching for his equal now, then, we will launch a premium version with support and new features (via a kickstarter) to get the lift we need. Are there any way for me to move the footer link to SEO ultimate? I want to move it to the sidebar and I am willing to code the needed changes if I am granted that opportunity. Here is my website http://www.vhortex.com/, and as you can see.. I am avoiding any form of footer links due to the footer bar that I have. I was hoping that I will be granted some kind of permission to move or alter the SEO Ultimate footer link. What should I do, please help. Delete SEO Ultimate folder (or just change the name one character) via ftp, then you should be able to access your blog normally. 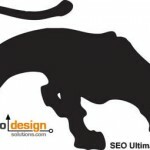 We have a Beta test for SEO Ultimate 7.6.2 which you can sign up for here – http://seodesignsolutions.com/blog/seo/beta-testers-wanted-seo-ultimate-7-6-2/ aside from that, a new version with updated PHP should be available within the week. Identifying and fixing bugs is part of the process. Thanks for your input, we will look into this.